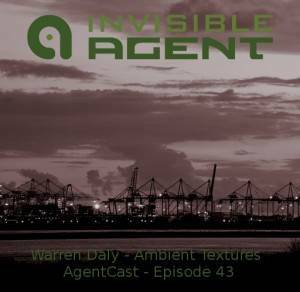 Ambient textures and chilled out soundscapes feature in this 90 minute mix by Warren Daly. Bask in the found sounds and piano melodies layered over tranquil compositions. The connoisseurs of ambient are assembled in this halcyon mix. Once again the prolific and talented Bing Satellites frequents this mix. Bruno Sanfilippo has an impressive back catalog stretching back to the early 90′s. Originally from Argentina, Bruno runs the ad21 label and this is the first time I have included one of his compositions in one of my podcasts. Great to hear a fresh release from Leonardo Rosado on the Laverna Netlabel. I’m hoping his FeedbackLoop Netlabel will release new works in the not to distant future. Porya Hatami is an ambient and experimental sound artist based in Iran. He merges electronics and environmental recordings with wonderful details and fading patterns. An absolute must for any ambient collector. On the 31st of August 2012 I tuned in to a live Internet broadcast by Earlyguard. It was an abstract and minimal affair made up of evolving drones and pads. At the time I had no way of recording the live stream. I’m delighted that he recording and released his performance for folks who missed the broadcast to enjoy. Phillip Wilkerson focuses on atmospheric sound-fields and ambient drones. His previous releases can be found on the excellent Earth Mantra and Free Floating netlabels. Alex Leonard a.k.a Ebauche is working on a number of tracks that will be released soon on Invisible Agent Records. Glad I could give you a sneak preview of what he’s working on.